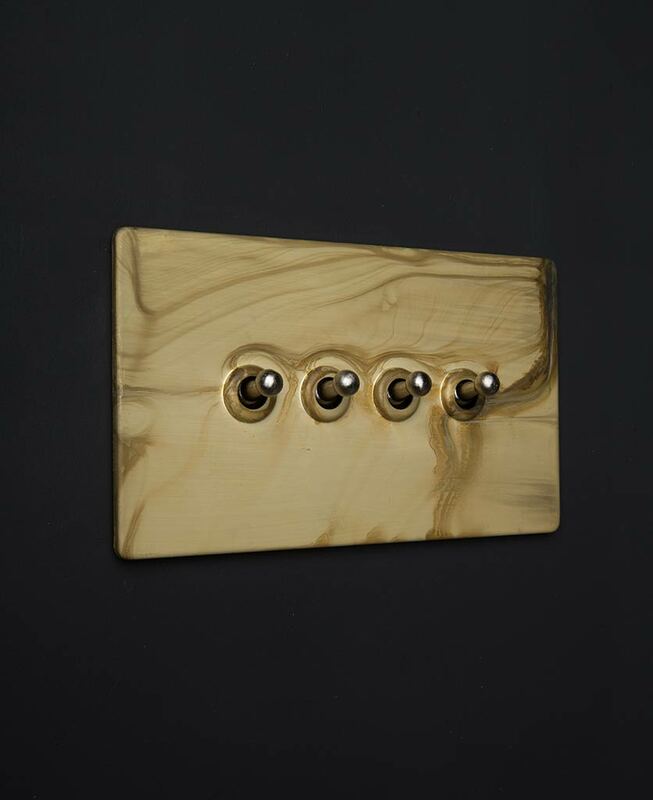 How beautiful is our smoked gold quadruple toggle switch? 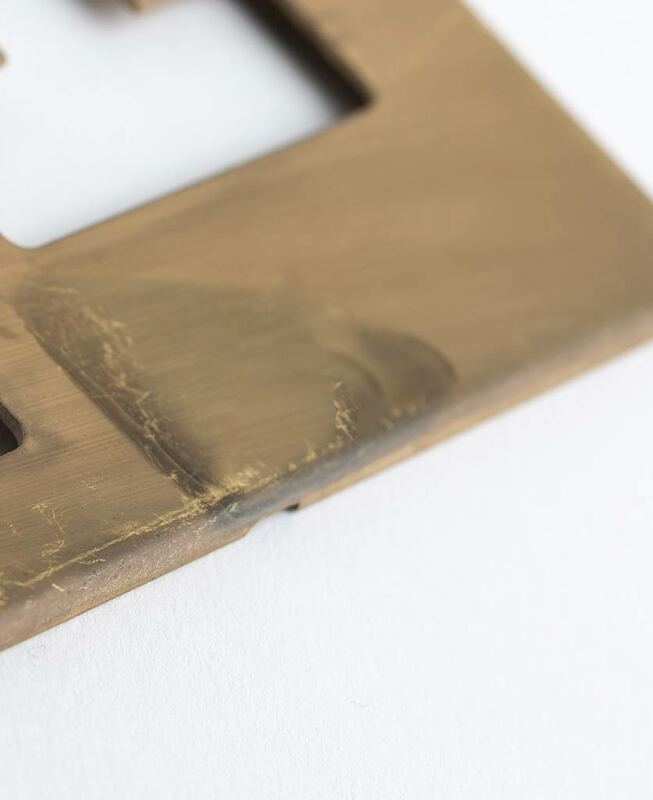 This stunning smoked effect brass plate is truly unique and has gorgeous tones of navy, grey and charcoal marbled through it. This pattern is almost reminiscent of fire damage – and it is this striking tarnished vibe that makes our toggle switch the perfect choice for an industrially styled interior. Our smoked gold quadruple toggle switch features a matt gold plate and sleek retro toggles. 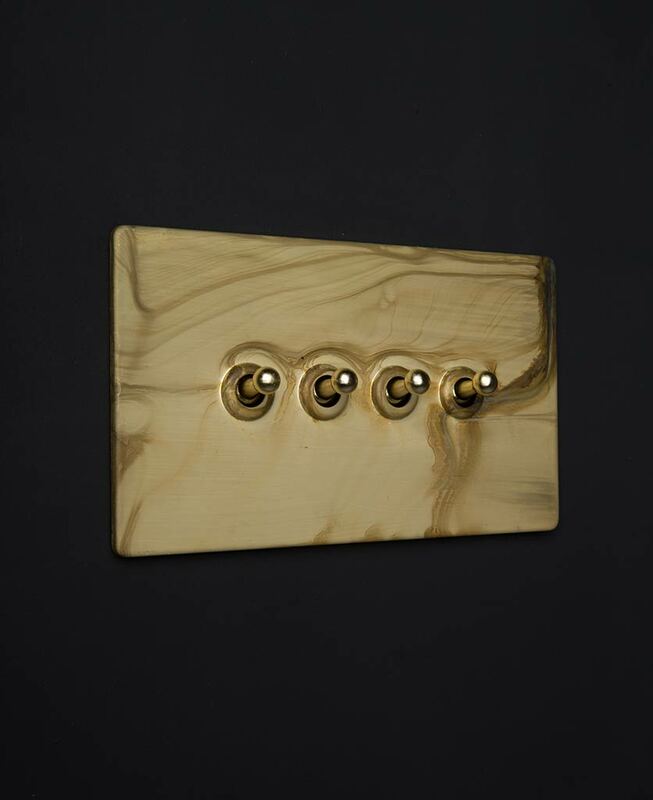 This exclusively designed light switch is the perfect accompaniment to an industrially styled interior. Each of our light switches, dimmers, sockets and toggles have totally concealed fittings, making them a neat and stylish addition to your rooms. This vintage style toggle switch has a tarnished appearance that accentuates a rugged, industrial design gorgeously. 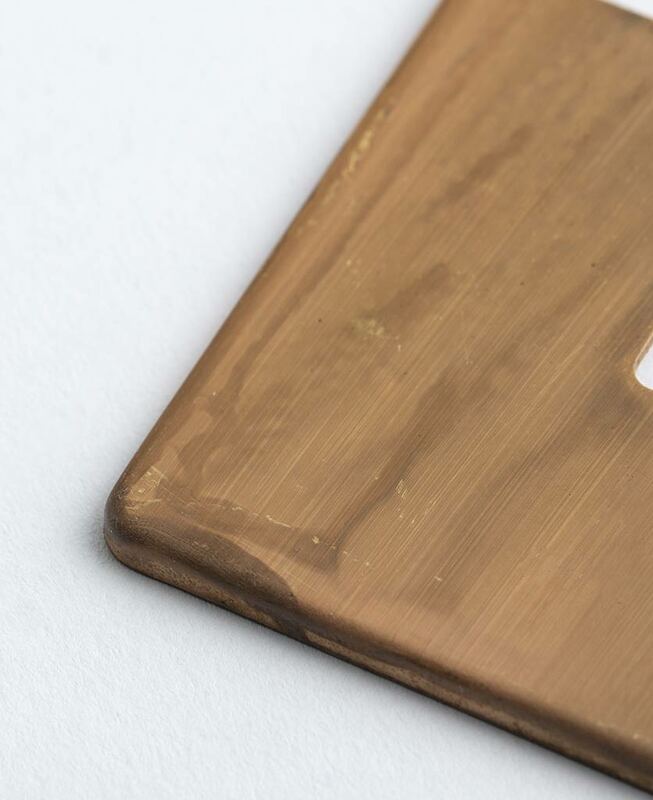 Each of our smoked gold finishes is electroplated to achieve the swirling tones that sweep across the surface of brass. You won’t find any two the same. 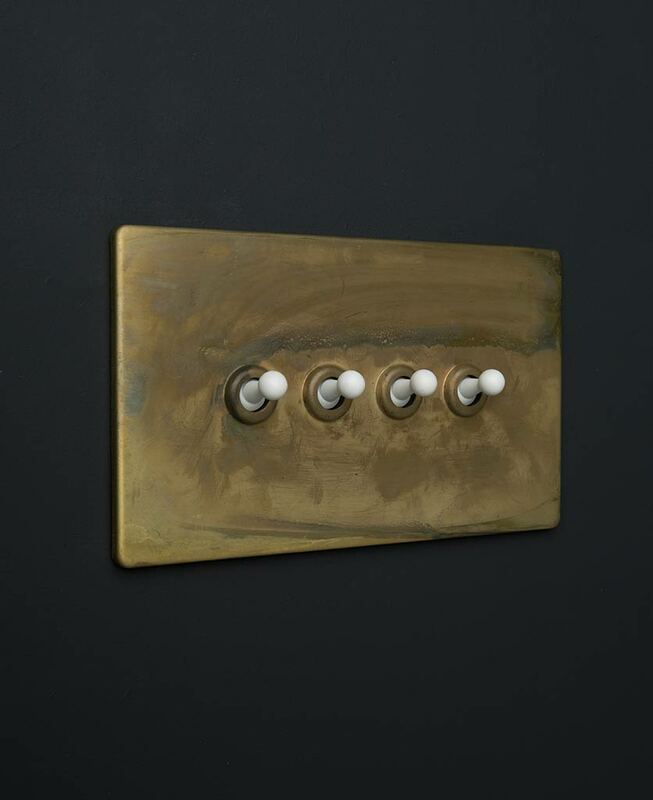 We love these toggle light switches on a moody grey or rich navy blue wall, which will compliment the hues of the weathered brass stunningly. As part of our smoked gold switches and sockets range, this toggle switch has been created to coordinate with a range of industrially styled contemporary interiors. Mix and match cooker switches, dimmers and sockets to create an unusual yet polished look that is sure to stand out from the crowd.